Bedo case erectors can handle a broad range of cases, thus offering the highest versatility to react to your market’s requirements for new case counts and case sizes. A simple and repeatable change-over guarantees both maximum productivity and outstanding availability. 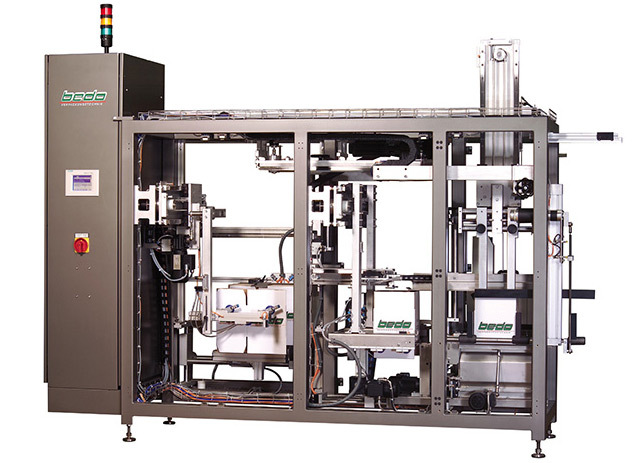 Semi-automatic as well as fully-automatic change-over upgrades are available upon request. 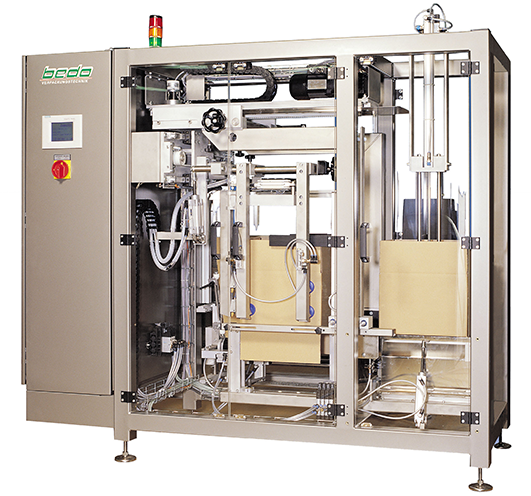 Automated downstream-processes require accurate cases. Therefore, cases are exactly squared before bottom sealing. A form-locking flight lug transport carries the cases towards the sealing station, thus avoiding distortion or warping of cases which may be found when cases are transported with lateral belts. Let us know, if you require further information about our versatile and reliable case erectors. Ring us under +49 451 81 01 - 0.